Great news - Breddos Tacos have found a 6 month residency at TripSpace in Haggerston, just off Kingsland Road, where they will be serving their amazing food, including tacos, sliders, and brunch at weekends, from Wednesday - Sunday from 11th April. 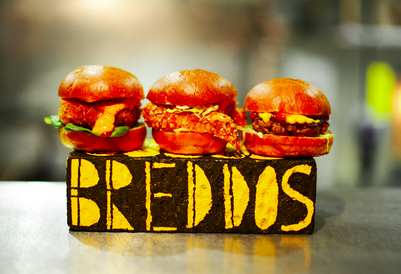 Breddos are regulars at Street Feast and Hawker House, and came second in Taco Wars in 2013, and I'm sure this is going to be just as successful. 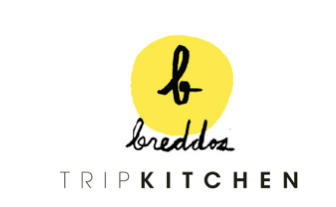 "Street food favourites Breddos are launching a brand new residency at TripSpace; part of a beautiful cultural space located in two converted railway arches right beside the Regents Canal in Haggerston, East London on Friday 11th April. Adding to their successful residency at the Slider Bar at The Player in Soho, Breddos will be bringing their unique take on Mexican / American inspired dining, with a diverse small-plate dinner menu, containing new dishes (including Breddos own sourced and cured ‘Mexican’ charcuterie), some old favourites (Baja fish taco) and a Breddos twist on classic American brunch on weekends. The venue, a 60 cover restaurant with dedicated bar area and sunny canal-side terrace, will also boast a specially selected drinks menu with classic cocktails, hand selected wines and a range of beers sourced from local brewers."